Next to Roller World skating rink on Route 1 in Saugus, MA lives one of the most talked about escape companies in the Boston area. Wicked Escapes was nominated in 2017 by USA Today as one of the nation’s best so we were excited to meet the staff and experience their rooms. We found their location easily and had little trouble parking in the large, shared lot. We followed the arrows that led us upstairs to massive lobby. The quality of all of the Wicked Escapes games was quite high so we were a bit let down by the choices they made in their waiting area. The overall decor was plain and without a theme. Seating is limited (considering as many as 12 can play at once) and we didn’t notice any games puzzles to keep guests distracted while they wait for the rest of their group. There are beverages for sale. The introduction story was simple, but the prison costumes were a fantastic way to bring us into the plot. The staff were all very friendly and clearly enjoy their work. As the escape industry continues to grow on the East Coast, players have become more discerning. Expectations for the pre-room experience are becoming higher and we suspect Wicked Escapes will continue to improve. The gameplay and storyline are loosely based on The Shawshank Redemption. Knowledge of the movie isn’t required and won’t help you escape any more quickly; just bonus “easter eggs” for those who are fans of the film. The set design was definitely above the industry average. The real sinks, bunks and toilets, solid prison gates and appropriately worn props made the set very believable. However, we experienced one quality issue with a safe that nearly prevented us from completing the room. Without giving away any spoilers, we can say that the first 10 minutes of our game were especially unique in how we were forced to work together. That made the set quality even more believable and jumpstarted the immersive experience. In addition to that first part of the game, there were a lot of details that kept our team members immersed throughout most of the escape. With the realistic set and aforementioned prison jumpsuits we also appreciated the background soundtrack. We could feel our nervous excitement blossom because the sound intensity grew as we progressed through the game. 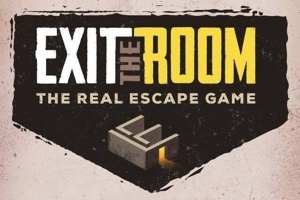 A well-designed escape room will play with your emotions as well as your mind. While some of our team were focused on puzzle solving, others had opportunities to dig deeper into the narrative. As more puzzles were solved, we found new audio clips that contained both essential clues and deeper story-telling. This is an important bonus for larger groups because players who are interested in character development have a chance to learn more without slowing down the escape. Unfortunately, there were moments when this became a bit forced. We experienced a bottle-necked puzzle path which at times left some of our group waiting around for others to figure out a solution. We think this room is best suited for 4-5 people. In Cell Block 4 be prepared to use your eyes, ears and minds. Our group found the interactive puzzles more interesting than the brain teasers, but there was something for everyone. We were in a prison, and as expected, we had to thoroughly search for contraband. There was a decent amount of scavenging and sometimes it took a few people combing over the same area to find all of the hidden items. We didn’t end up finding all of the clues (some of which would have made our gameplay more fluid), but thankfully we were still able to figure out the solutions. One frustration was the limited number of portable lights. Considering the dim environment and the intense searching that was required, we wished that more of us could have explored at the same time. We also came across a couple of hidden items that were very difficult to apprehend even with our mix of heights and arm lengths. We weren’t blown away by the puzzles in Cell Block 4, but we appreciated the variety. This was our first game of the day at Wicked Escapes and we were excited play some more. This was a well-designed and well-executed room that will appeal to groups with a blend of new players and those with some experience. Enthusiasts will have a fun time with the environment and the story, just less so with the puzzles. We loved the humorous and snarky tone and we suggest that you get into character…most people don’t have many opportunities in their lives to stage a prison break!